Managing modern websites requires a reliable website monitoring solution. It helps to minimize downtimes and optimize your websites' performance in the long term. In today's distributed environments, monitoring solutions need to accommodate an ever-increasing mix of setups ranging from websites hosted at office locations or hosting providers, to cloud services operated at AWS, Azure, Digital Ocean or similar cloud services. A number of website monitoring applications offer help for these tasks. These tools provide insight into the key metrics of your website setups. 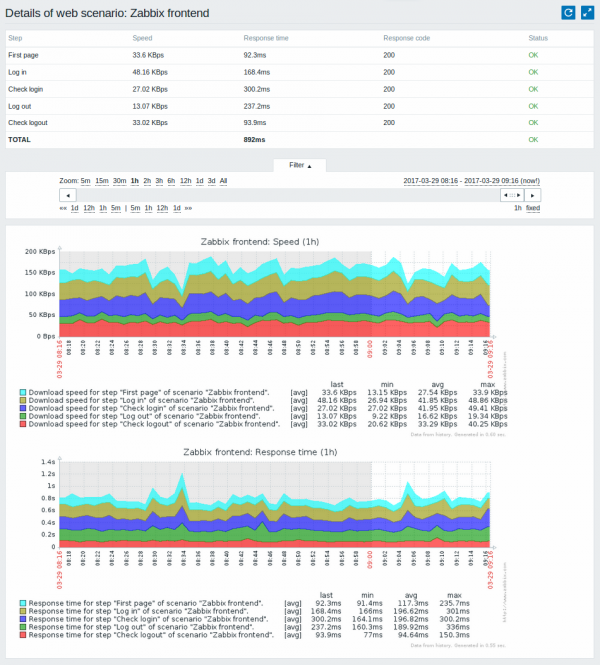 Zabbix is a renowned on-premise monitoring software. Zabbix is used mainly by large enterprises with a significant IT support staff complement to monitor their websites and IT infrastructure. It has the capability to examine all the activities of your websites, yet requires considerable setup and configuration efforts to get it running reliably. Comment: Very comprehensive open source solution. On premise setup requires significant setup efforts. 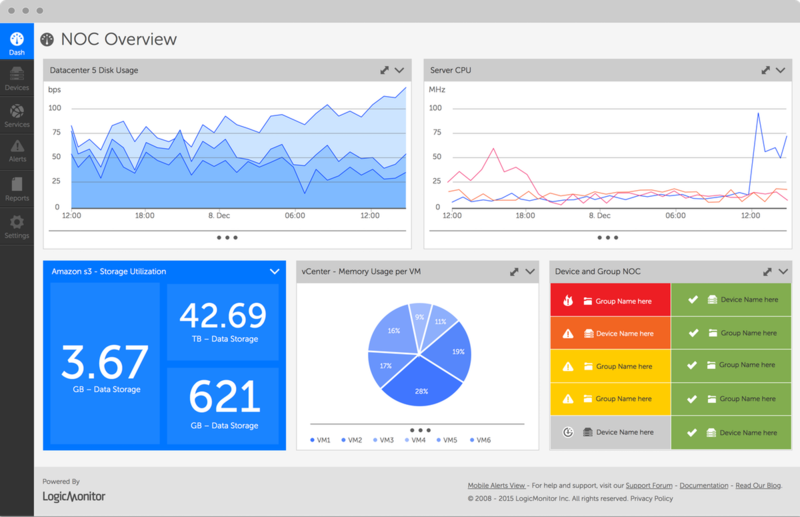 Manage Engine is another enterprise-level corporate tool for website monitoring. It ensures the reliability of your website and detects the key source of the problem so that you can enhance your website performance over time. Comment: Very comprehensive yet pricy solution. On premise setup requires significant setup efforts. CloudRadar provides website monitoring with an additional comprehensive Server and Website monitoring solution incorporated. It helps you to get your websites monitored within minutes, while allowing you to extend monitoring to all your servers and network devices. 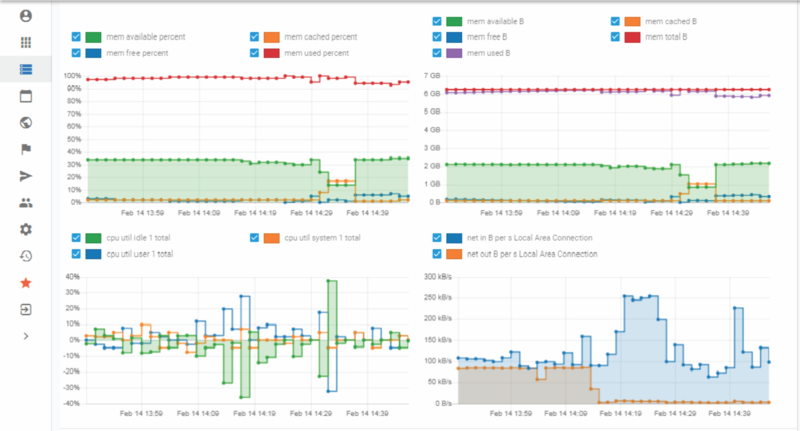 In this way you get an overview on your entire infrastructure - from uptime through service, server performance, memory, process and disk monitoring. It notifies you of any critical issues wherever you are via your favourite channels (mail, SMS, Slack, Webhooks, Pushover, WhatsApp or Telegram) and is designed for fast setup with preconfigured Smart Alerts. 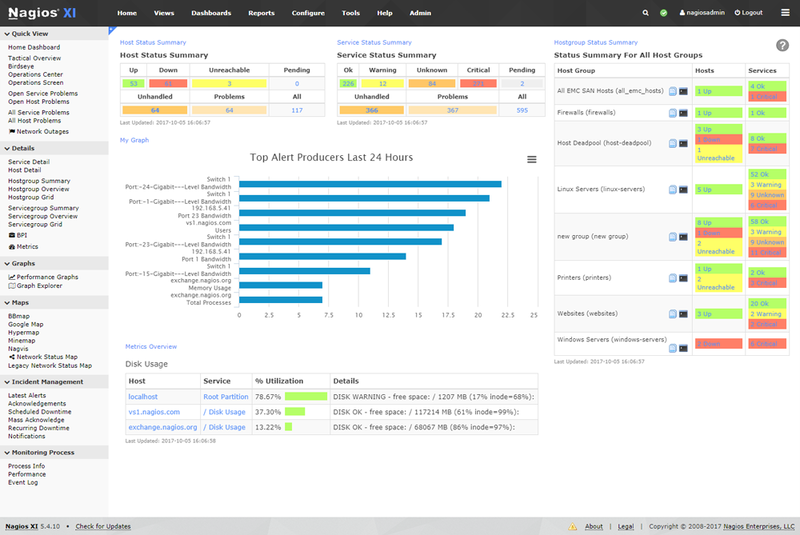 Monitis is a website monitoring software tool with a broad range of features ranging from website to server monitoring. 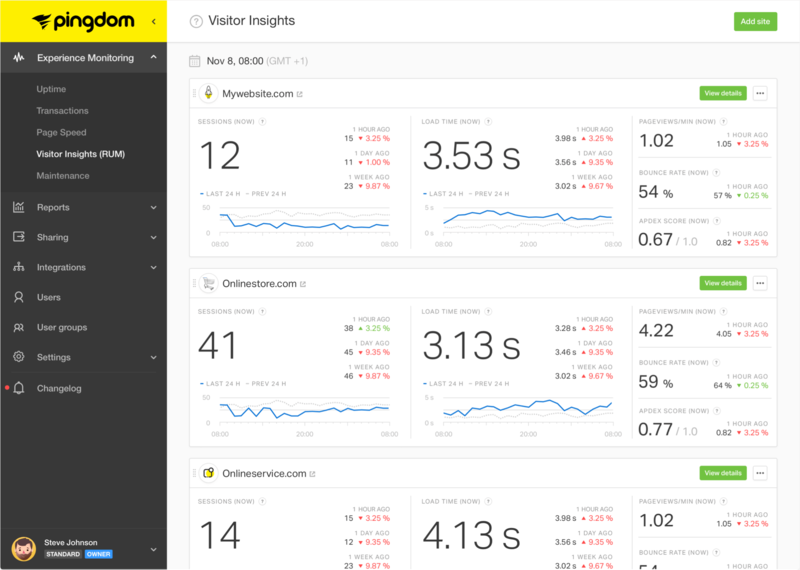 Pingdom is one of the most popular and commonly used website monitoring tools. It helps to enhance the overall performance of your website and identify all the essential issues regarding your website. Comment: Specialized website Monitoring tool for professional websites. No option to integrate server or network monitoring. Anturis is a remarkable website monitoring tool. It is capable of monitoring the availability of your website and helps you to examine all the key features that can influence the performance of your website. Nagios is another comprehensive on premise monitoring software. It ensures the maximum availability of your website and provides detailed performance metrics. Comment: Very comprehensive solution. On premise setup requires significant setup efforts. Logic monitor is a popular tool to monitor websites. It detects a lot of key activities of your website and sends quick notifications to ensure utmost performance of your website. 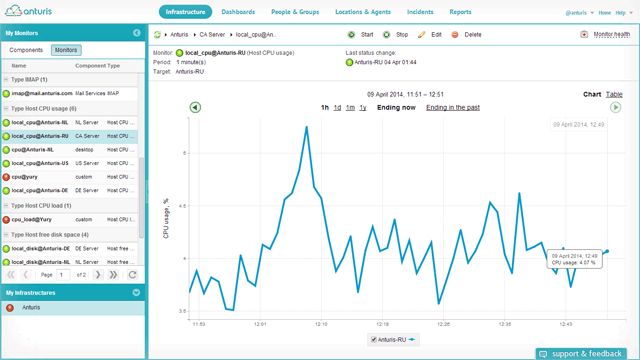 Comment: Comprehensive Monitoring solution in the upper price range. 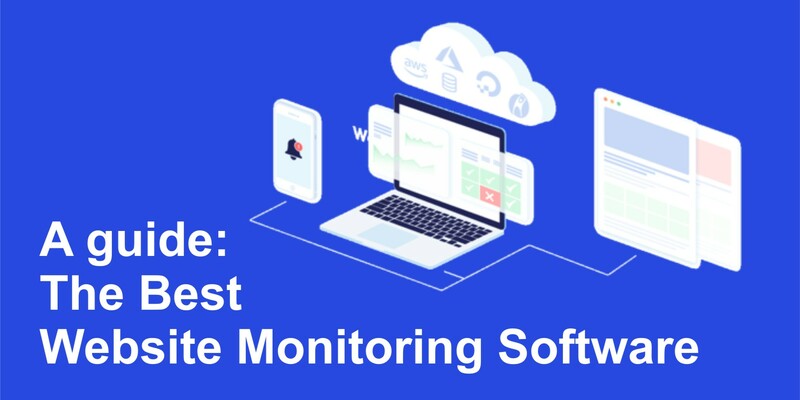 So there you have it -an extensive list of Website Monitoring Tools that can be used for any company website, e-commerce business or blog, from startup to established companies. As the best fit depends on your context and feature preferences, usability and available budget, we recommend that you try some of the free trials or free versions in order to form your own opinion. On the question of SaaS vs On-Premise pls refer to this previous article. NicholasThiede is a co-founder of cloudradar.io. 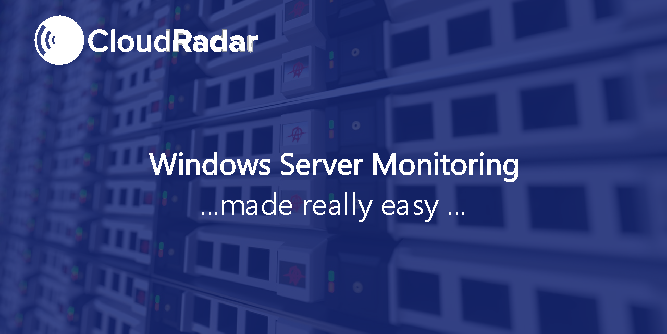 CloudRadar aims at making monitoring accessible for smaller and medium sized companies. 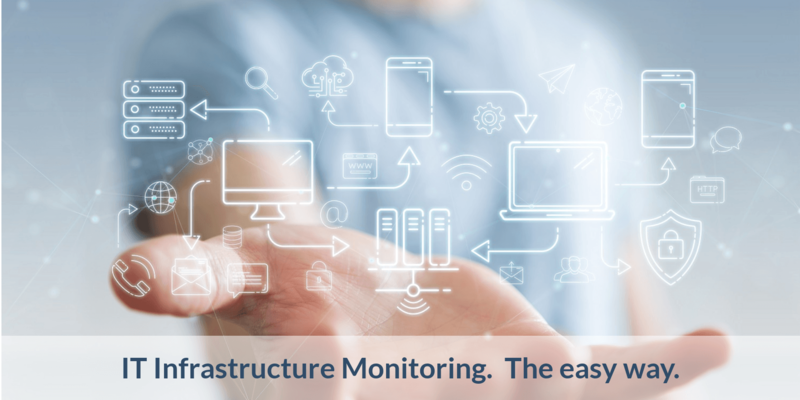 The SaaS monitoring solution is designed to provide a solid yet simple and inexpensive solution to monitor websites of any type and complexity. 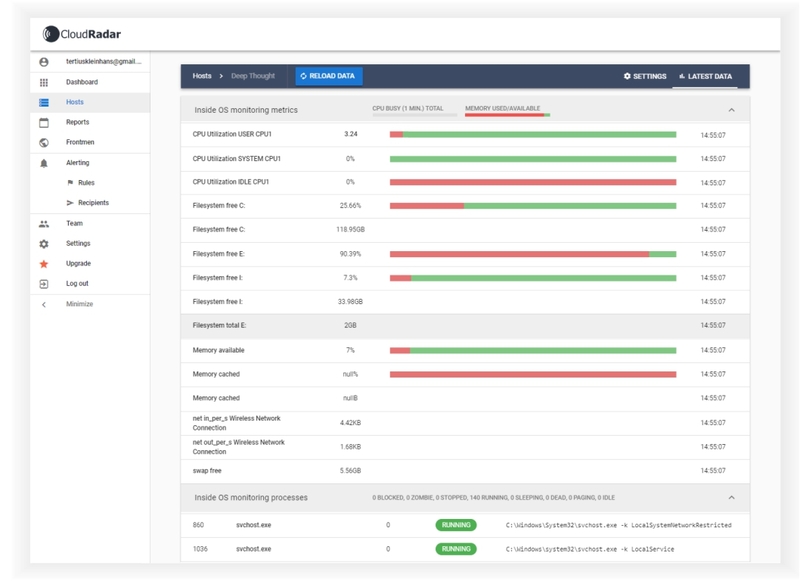 It will keep tab on your websites and any other servers or network devices you might want to monitor so you don’t lose sight of performance degrading issues.